Calling all hip hop lovers in Atlanta: now’s your chance to witness something special. Longtime DJ and producer Cut Chemist is set to headline Red Bull Sound Select Presents: Atlanta. After years of performing in two successful groups–latin rock band Ozomatli and hip hop group Jurassic 5–the LA-based artist has taken the mixing world by storm. Known by hip hop fans as one of the pioneers of turntables, the “What’s The Altitude” producer officially embarked on a solo career in 2006, releasing his debut LP, The Audience’s Listening. With a career spanning over 30 years, the DJ has a built a following with his dedication for spinning vinyl. 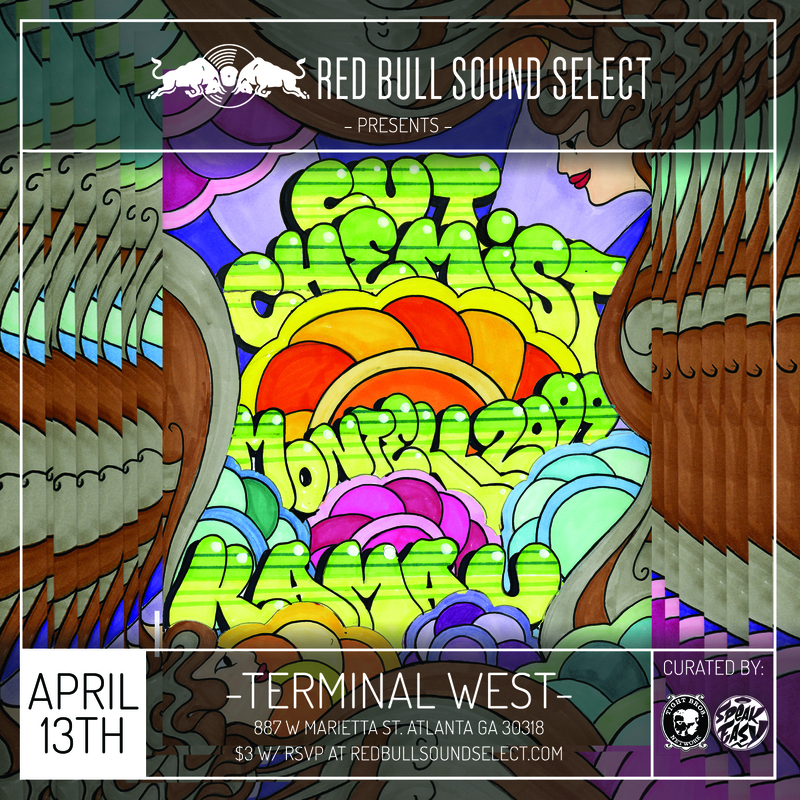 Before Cut Chemist’s set, supporting acts Montell2099 and KAMAU will also be heating up the Red Bull Sound Select Stage in Atlanta. 21 year old Montell2099 (Montell Pinny) is a producer and beatmaker who spent his teenage years teaching himself how to craft inventive and catchy melodies. With nearly 30,000 SoundCloud followers, the young producer has already made a name for himself. As for KAMAU, the unique hip hop/soul hybrid that he has found a home within is exceptional. With his 2016 EP, A Gorgeous Fortune, comes a collection of contagious and genre-fluid tracks. 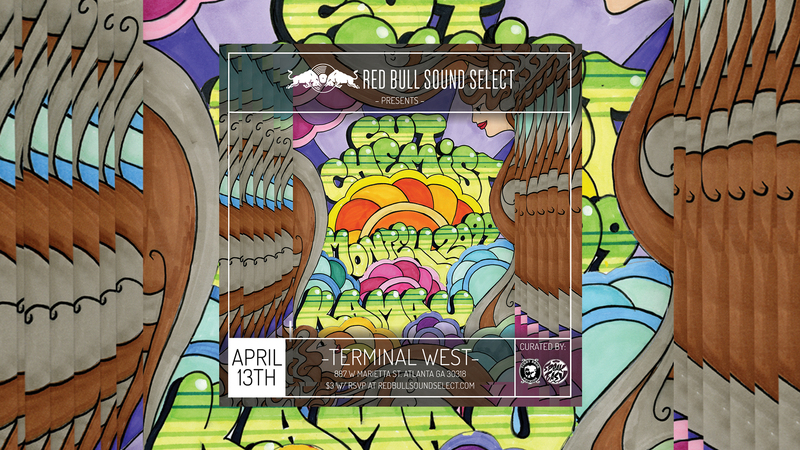 That being said: Red Bull Sound Select Presents: Atlanta is going to be an unforgettable night. The show is at Atlanta’s Terminal West on April 13, doors open at 8 o’clock–you’re not going to want to miss these standout artists. Tickets and more info on the venue can be found here. For now, make sure you’re tracking the performers on Bandsintown, so you never miss another show!